At first, we were skeptical about the small-diameter handlebars and grips, with our anxiety growing every time someone else scrunched their nose at our survey question. But in practice these worked for us, delivering increased control as promised. On continuous downhills, however, we found ourselves wishing for some additional cush. After only three runs, our hands started to feel the effects of a smaller surface area, which negated the effect of improved handling. Normally, we’d swap out to a more forgiving grip, but with the Juliana’s non-standard bar diameter, you can’t just swap out the grips for your favorite Ourys or ODIs. 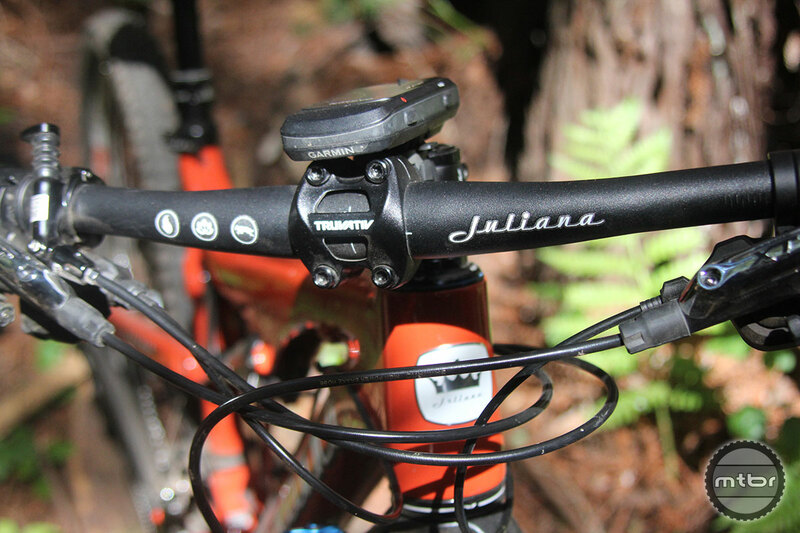 The Juliana Compact Bar is for exclusive use with the Juliana Compact Grips. http://www.vimeo.com/88486801 Juliana Team ambassador Anka Martin along with brand manager Katie Zaffke “live the brand”in this edit from New Zealand the company put out earlier this year. Descending on the Furtado Primeiro is an exercise in confidence building. With a more slacked-out, enduro-style geometry than your average XC rig, keeping weight over the center of gravity of the bike is no problem even if the bike is pointing down steep, chunky singletracks—particularly with the dropper post down. The suspension provided by FOX comes with CTD switches that allow you to independently change the fork and rear shock between Climb, Trail and Descend modes. It felt a little overwhelming at first, but we quickly mastered the process and found it to be a huge benefit—it’s like having a whole quiver of bikes in one. A cockpit remote would be an improvement, but as we got more comfortable with where each dial and lever was, we could make changes by feel. Settings selected, we were ready to hit it again and see what new challenge we might attempt. With the help of the “in-betweener” 27.5-inch wheels, we gobbled up drops and roots easily, without sacrificing line choice accuracy. This is the kind of bike that can make you a better, hungrier rider. Off the jumps, again, this bike shines. 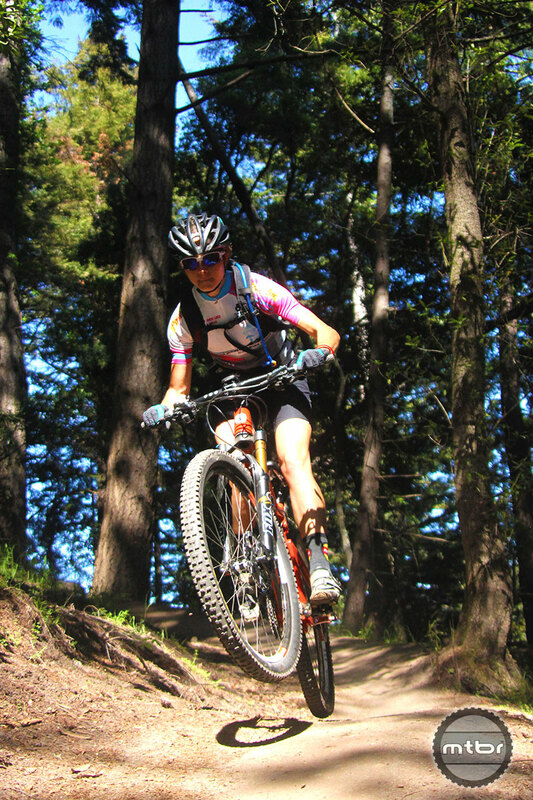 As primarily an XC rider, this reviewer tends to prefer her wheels on the ground, but this bike inspires hucking—hucking everything. The Furtado provided a secure, stable platform to launch, and on landing, it was easy to achieve slipper soft, bottomless touch-downs. Just what is ‘women’s-specific’ anyway? 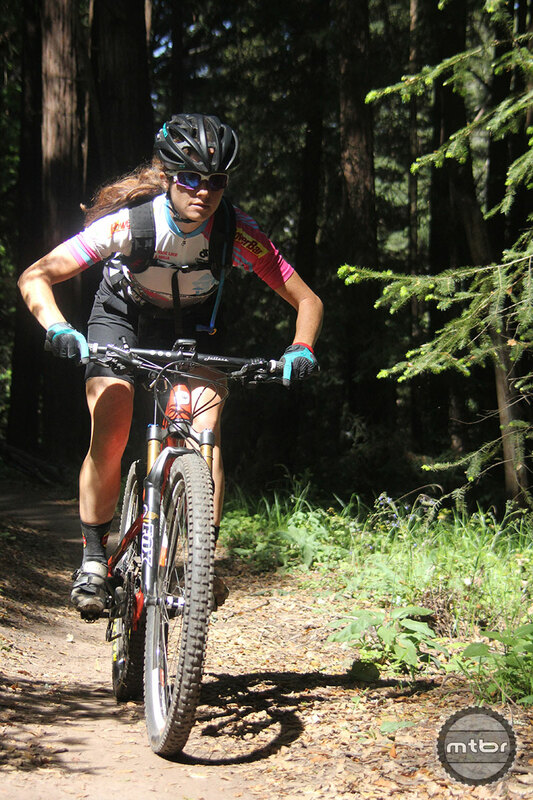 The thinking behind women’s-specific bikes has evolved so that now, it seems the agreed-upon differences are relatively few—saddle, grips, size and color. That might not seem like much, but for Juliana it comes with a philosophy that makes a difference as well. While some might dismiss it as merely marketing, the women’s-specific focus—when executed genuinely—serves as both an inspiration and an invitation. The Juliana website and branding are visually beautiful experiences. The images, colors, and even logos, help more women see themselves in the sport and feel like they belong. 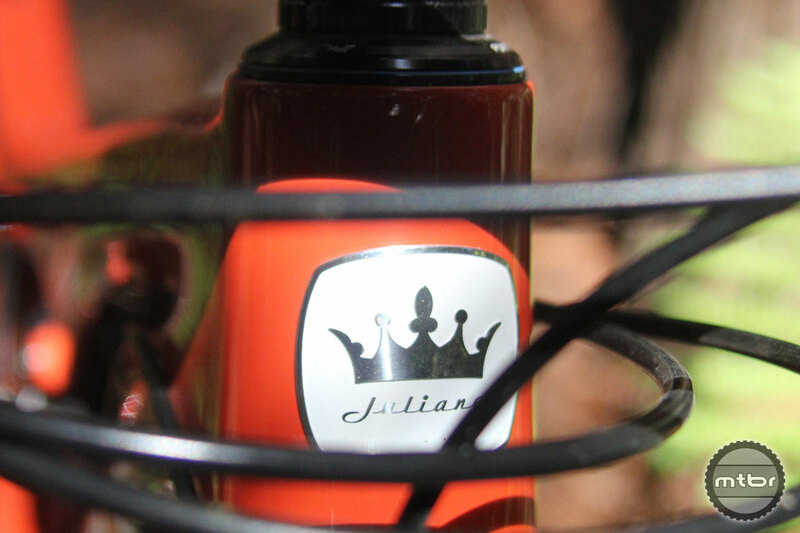 And if you don’t know the backstory, the entire Juliana brand is named for one of mountain biking’s original superstars, Juli Furtado. One of the most dominant racers of all-time, the Mountain Bike Hall-of-Famer won world titles in both cross country and downhill in the 1990s. She lives in Santa Cruz and continues to work on the brand that bears her name. 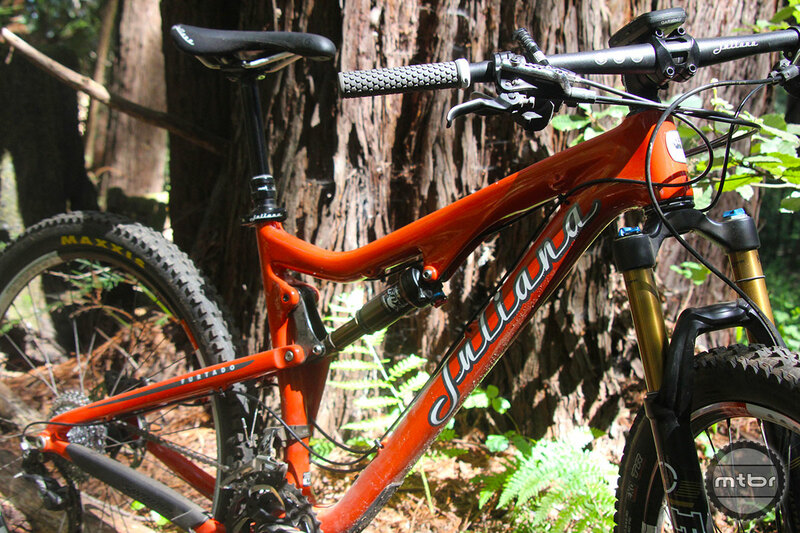 The Juliana Furtado Primeiro is a bike for women who shred. With a realistically high price point that reflects its value, beginners aren’t likely to pick this one out. Those riders who do, however, will be rewarded with a responsive, comfortable, confidence-building ride that’s forgiving for both someone just learning to mountain bike, or a rider ready to push her limits to the next level. Bike comes as-is—no options for upgraded wheels, drivetrain, etc. For more information visit julianabicycles.com. 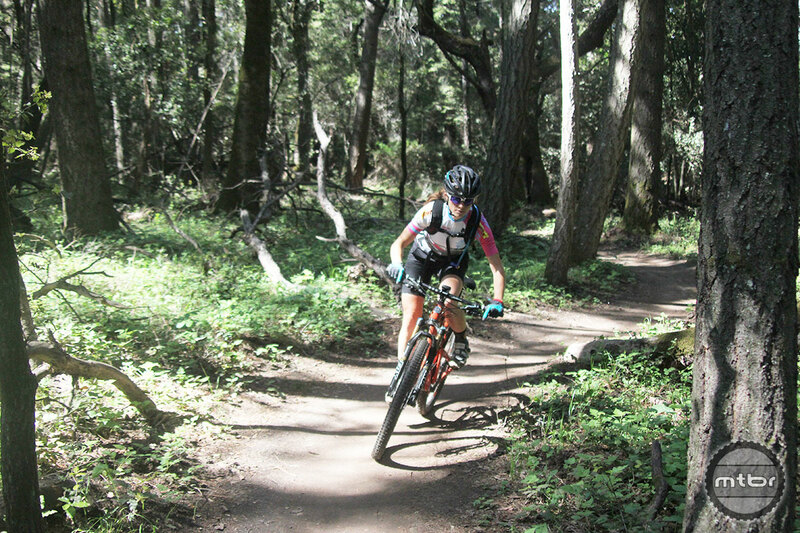 Kristen Gross loves bikes, all sorts, and above all, XC mountain bikes. 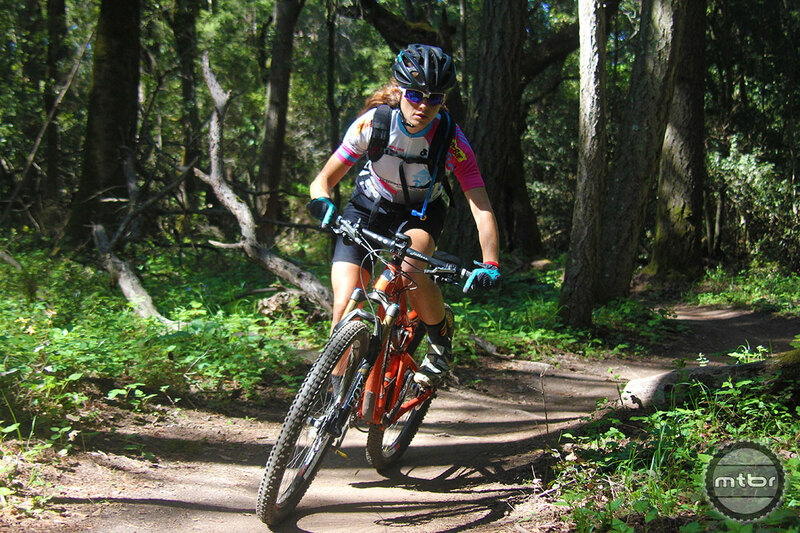 She races in the pro category and gets a lot of joy from teaching others the way of the trail as a mountain bike skills instructor—especially women who are just discovering cycling. She is a USAC-certified coach, and she runs her own freelance writing business based in Carlsbad, Calif. You’ll find her either writing or riding, bringing over 10 years experience to both. Why does she ride? To offset her addiction to Coca Cola and Lay’s Potato Chips. Explain to me how a $6k carbon bike specified for typically lighter riders comes in at 28+ lbs? I understand it’s more enduro oriented, but I agree with the writer that it seems unreasonably heavy. The weight is right there with other 130mm travel carbon bikes at that price if we’re including the dropper-post. So it’s a Santa Cruz that’s been painted more “girly.” Way to keep sexism alive. Allan- You’ve missed the point. 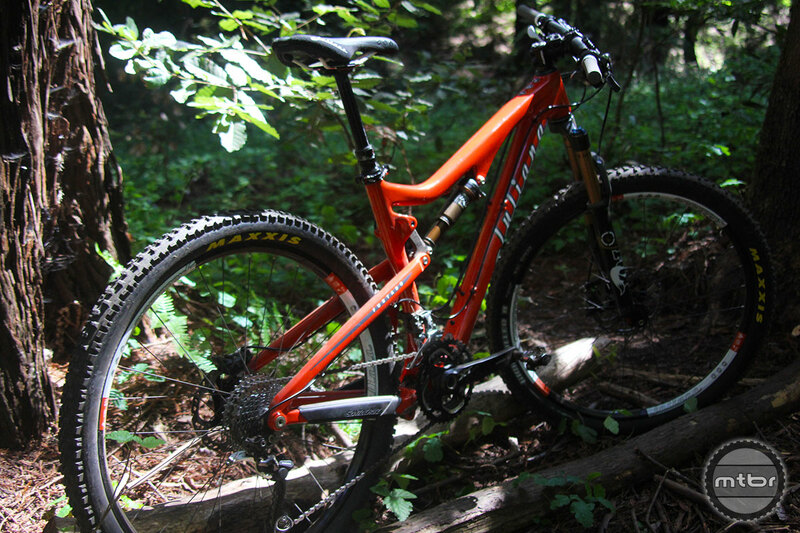 If anything the new Santa Cruz Nomad has more of a stereotypically “girly” paint scheme than any of the Julianas. Contrary to your comment, SC is trying to build an authentic women’s brand with Juliana and they’ve staffed up with women in product management, marketing and events. Juli Furtado also still provides significant guidance, all of which we fail to see as sexist. Santa Cruz wants my wife to buy a $6000 bike that needs a replacement drive train? Sorry marketing team, she’s going to buy a men’s bike for much less money because everyone wants a 1x these days. My wife rode a juliana around the parking lot the other day, she said the grips were way to small for her. She wears a size medium glove and rides a size medium bike, maybe she’s just more used to regular sized grips, but I for one really like the biggest grips I can get. Try playing tennis with a too-small grip!!! My wife and three of here friends have been on a demo tear lately. They have ridden bikes from Scott, Giant, Trek, Specialized, Niner, Pivot, Juliana. Of all the bikes the girls rode the Juliana was the one that stood out the most. It had better parts than any of the other bikes. A full 2×10 XT kit yes a 2×10 kit is optional at no extra cost, Fox Kashima Fork and Shock, Reverb Dropper and the much loved Maxxis High Roller 2 tires front and rear. All the girls liked the grips and the shape of the bar. The saddle not so much. The fit of the bike seemed to work well for the girls as well. Probably do to the fact that Santa Cruz bikes have always had short top tubes. My wife loved this bike and we are making some sacrifices to get her one ASAP. Call me passe all you want I’m glad SC put a 3x on my Tallboy. SC could have just painted the Bronson or 5010 with another color saving some marketing and manufacturing expenses and called a day. Gender specific bikes, good luck with that! Umm….did you read the article? This is a 5010 painted with another color (and different bars, grips, saddle). As to the marketing end…well, if you think you can sell anything to women in the same way you can sell it to men then I don’t know what to tell you, except don’t go for a job in marketing. @Teleken: yeah, at the very least I fail to understand the thinking that somehow a 2×10 is an “upgrade,” or why it has anything to do with value…the “triple chainring…feels like a disappointment, especially on a $6,000 bike?” So they leave parts off and convince you it’s an upgrade. Cheaper to make, sell it for more. Seems to me it’s really just a preference thing, especially 2x vs. 3x, ’cause you still have to shift in either case. I’m still undecided as to my preference, but I’m very glad 3x remain an option at all price levels. Luke, Simple fact, all suspension designs are designed around one ring usually a 32t. The farther away you get from that 32t up and especially down the more you compromise the suspensions performance. The VVP suspension has improved Greatly since it’s introduction and works very well without the need to flip levers constantly. With a 3×10 drivetrain on this bike you will have some pedal feed back. With a 2×10 drivetrain you really have to be focusing to notice it at all. With a 1×11 it’s almost undetectable. Fact number two. The gearing spread on a 3×10 is barely wider than a 2×10. But the 3x system has around 8 overlapping gears. Redundancy is a reduction in performance not an improvement. First, a quick arithmetical check proves 3×9 or 10 gearing is going to offer significantly lower gearing, unless your 2x uses a 22 chainring. Second, saving a half pound with 1x or even 2x systems is totally imaginary in terms of climbing benefits (although the lack of water bottle cage mounts will save you a couple pounds I suppose) compared to real granny gears; last, most Weigle suspensions utilize chain line differences so grannys actually modify the rear traction characteristics, something morons tossing different gearing systems on obviously don’t think, or care about versus the Sales Hype. Also, short riders will never be adequately served by 27.5 or worst, 29 wheels, as is well understood in fitting small road frames. The ability to create market gibberish which fools especially new riders exceeds the ability to actually create revolutionary breakthroughs year after year. If weight is so important, why is my 12 yr old softtail Ti 24 lb, and most of these uber-pricey carbon trendy things still 2-4 lb heavier than even alu XC bikes of just 3-4 years ago? Because fewer folks care to actually pedal uphill anymore, daring to be challenged not just by the speed of the down, but the climb up as well? I have tested most women’s specific bikes out for 2014 due to being in the market for a new full suspension bike this season. What was frustrating was how low specked and seemingly overpriced most women’s lines are. They do not compare at all to men’s bikes within the same price point. I cannot help but feel shortchanged being a small woman rider that rides quite aggressively, I would prefer a bike that is equally as competitive to the men’s bikes. I would, and often times do, end up getting a man’s bike although I would prefer the fit of a woman’s bike if there was anything remotely close to my preferred specs. Going back to the Juliana Furtado, I have tried this bike and taken it out on the trail for a demo having considered it as a serious contender for my new trail/AM bike this season. The performance was ok and geo/fit pretty good, but I do not appreciate the fact that it felt heavy at over 28lbs for a 6k carbon bike! I tried the giant lust 1 and that bike weighed a measly 25lb for the aluminum version at 3,200, half of the Juliana carbon’s price! It also came equipped with a 2x and a capable rockshocks sid front fork. It is ridiculous how the Lust 1 is the same weight as the Lust Advanced 2 Carbon version priced at only $300 more. Given the relatively lower priced, comparatively specked and better valued Giant wds bikes, Julianas do not even come close to what Giant offers for women riders. The giant bikes are not only made and designed specifically for women they went so far as to make molds for these bikes to fit women. They are not men’s bikes painted in girlie colors, they are bikes made for us instead of just being “marketed” for us women. At the end of the day, wiser women riders will NOT and should not be duped into getting on a bike that’s touted for being designed for them when in truth it is just branding. Small cranks and handlebars do not make a women’s bike! Take that Juliana/Santa Cruz! 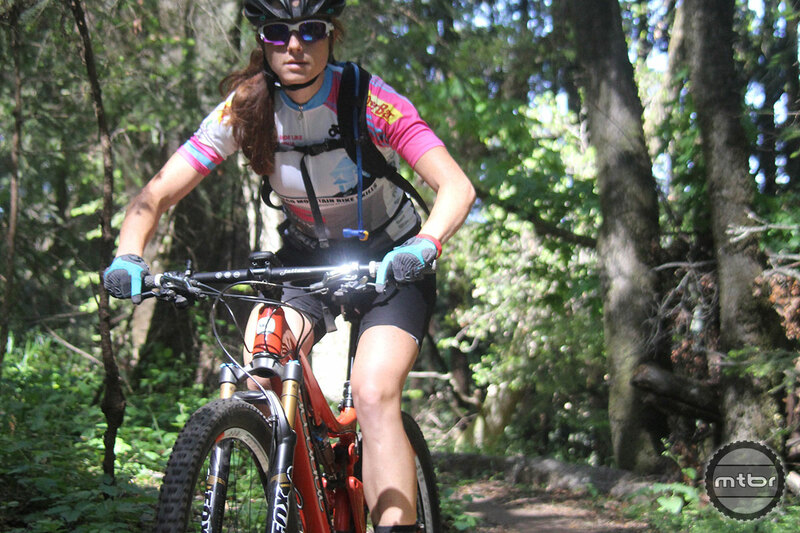 COMtbGirl, You do realize you are comparing a 4″ travel XC race bike to a 5″travel trail bike. The Giant Intrigue would have been a better comparison. It’s considerably heavier than the Lust. Even with super light Nobby Nics it’s still heavier than the Juliana. If you swapped out the Maxxis tires and the took the Dropper post off the Juliana and put those Scranny Racing Ralph’s and a standard post from the Lust. They would weigh about the same. Except you would have an extra inch of cush. 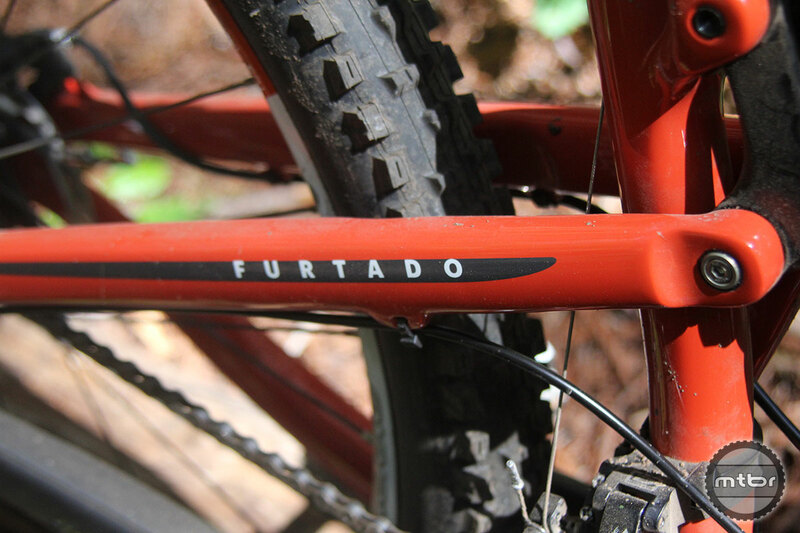 Juliana does offer the Furtado with a 2×10 at the same price. Also keep in mind that carbon isn’t just about weight savings. The difference in ride between and good carbon bike and a good aluminum bike is drastic and aluminum loses by a lot. As for the geometry you might want to compare the two before you go claiming Giants doing something really special. As for the money saved on the Giant. You better be saving money buying from the largest bike manufacturer in the world. But sadly the parts spec on the Giant are well low end. When compared to the Juliana. Take the time to see what the parts on each bike cost. Giant is selling you less for more. Santa Cruz is actually a better value.